Securing your email account is an important step to protect your privacy online. Many hackers are waiting to pounce on an unsuspecting email user and use their private information against them. Companies can lose their client base or millions of dollars if hackers can gain access into their emails, attachments as well as files. With a few simple steps, you can secure your email from falling prey to hackers. Let us have a look at five ways to secure your email account from malicious attacks. 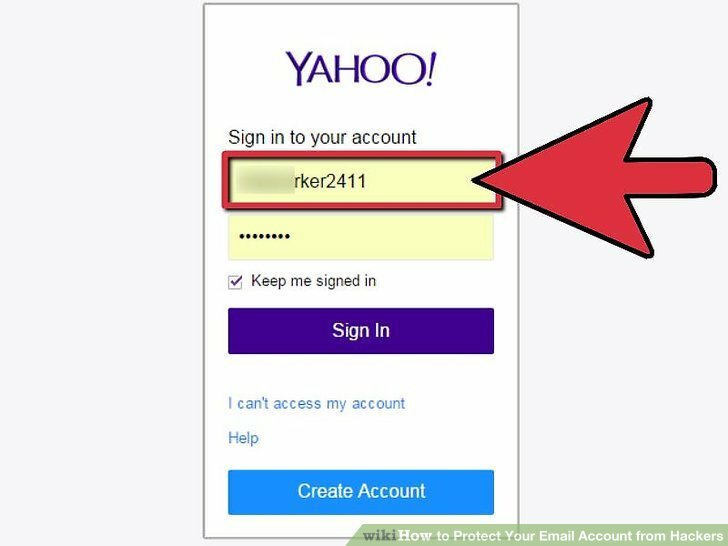 These steps may appear simple, but they go a long way in keeping your email account secure and protected. It has been repeated and most of the online users are aware stronger passwords keep their accounts safe. Yet, many choose simple passwords that can be easily hacked. Use passwords that have a combination of upper and lower case letters, special characters and numbers. There should be minimum 8 characters in the password. Anything less than that can be hacked within minutes. The more complicated your password, the more secure is your email account. It is very easy for a seasoned hacker to access your email messages, its content as well as its attachments. The best thing to do before sending any messages is to encrypt them. Encryption of messages, cached email as well as email provider connection keeps your account protected. Encryption is very useful especially if you are using a public Wi-Fi network to send and receive emails. This includes airport Wi-Fi, coffee shops, libraries, etc. Encrypted messages remain unreadable from the moment they are sent. Only the message recipient and no one else can read them. Thus, even if someone intercepts them, the message will remain unreadable. Many third-party applications require access to your account. It is important you check and verify each application before allowing them access. Read the fine print carefully as most applications only require minimum permissions such as to read or write content. If you do not trust or have doubts, remove those applications immediately. Using the two-factor authentication allows different components to double check if you are the legal owner of the email account. It may require you to enter your password and receive an OTP on your mobile number or email to verify. Enabling this feature is a wise decision, as it will keep your account safe. Receiving the OTP will alert you in case you have not attempted to sign in to your account. Many often fall prey to phishing attacks by opening emails from unfamiliar senders. You may be asked to click on a link to verify certain personal information from a reputed company such as your bank or get a sudden warning to update certain details. Do not click or enter any information if you are not sure. Double-check and verify with the company if they have indeed sent you such an email. Phishing attacks have ruined many people and their online lives. These are five ways to secure your email account. Skipping either of these steps will cause someone to snoop over your conversations and gather important information. Act wise, stay protected online.